MAKE AN OFFER!! 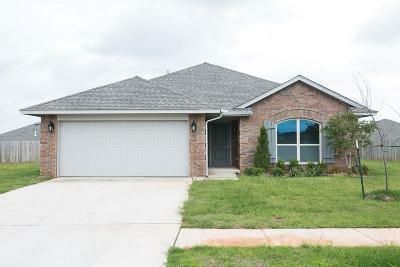 Brand NEW in Chickasha! This versatile 3 bed, 2 bath home offers a spacious open concept design, plentiful storage, with stylish finishes throughout. Standards are set at first glance with great curb appeal from the accented front door, landscaping package, brick mailbox w/number placard, sidewalks throughout the neighborhood, the list goes on. The open kitchen overlooks the main living area which is just perfect for entertaining guest. The master bedroom is very large with a trey ceiling accented with crown molding and has an amazing en-suite. Outisde youâll find a very nice space with a large covered patio on a very big homesite that comes fully fenced! This home supersedes todayâs construction standards with enhanced tornado safety features & offers industry leading energy efficiency, complimented with a 1 year builders warranty & 10 year structural/foundation warranty! Come learn why you should consider NEW construction for your NEW home! Seller says MAKE AN OFFER!